2013 was a year of major Linux advancements. If you look back at Linux's timeline, 2013 is a year that proves itself as a key milestone in the open-source operating system's growth. 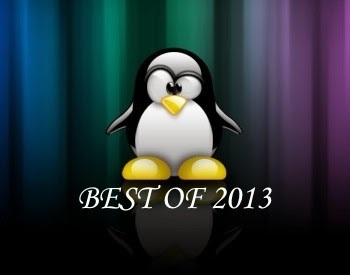 The events and announcements that happened in 2013 were hugely important as far as the future of Linux is concerned. Let's take a look at last year and see why the announcements and mega developments will help the mighty penguin get even stronger in 2014. 2013 started off with a big announcement. Canonical announced in January its mobile-based operating system. This was a huge step not only for Ubuntu, but also for the open source world. With Android and iOS already at the helm of mobile marketplace, Ubuntu's announcement was met with both enthusiasm as well as a lot of skepticism. In July came a huge announcement from Canonical. Before this announcement, most of Ubuntu's advancements didn't get any attention from the mainstream media. The only people excited about Canonical's endeavors were die-hard Linux fans and regular Ubuntu users. This changed, however, when Ubuntu Edge was unveiled. Shuttleworth, the brain behind this high concept phone left no stone unturned when it came to designing this device. The concept was to create a high-end smartphone with the latest specs and the best open-source operating systems: Android and Ubuntu. The way Shuttleworth saw this becoming possible was through crowdfunding. By setting a massive target of $32,000,000 in one month, Ubuntu Edge grabbed many eyeballs. Headlines from Linux-based websites to Engadget spoke of this brave endeavor with the same excitement. Ubuntu, in other words, had gained a massive public following in arenas where it hadn't expected before. That said, the campaign failed. Ubuntu only reached $12,809,906 making the campaign a no-go. As far as the Linux community is concerned, this was a major exposure for Ubuntu and its touch operating system. In 2014, when Ubuntu goes mainstream again (hopefully), many people will remember the famous campaign. Steam OS was undoubtedly one of the major announcements of 2013. The Debian-based operating system will be a core part of Steam's strategy to become a member of your living room. The sheer prowess of Linux was enough for Steam to ditch Windows 8 and consider Debian as a suitable platform for expanding their reach. Designed primarily for gaming, the initial version of SteamOS was released on 13th December 2013. Valve, upon the release, stated that [they have] "come to the conclusion that the environment best suited to delivering value to customers is an operating system built around Steam itself." The release didn't bring anything to the users in 2013, but this year, the OS might just end up becoming a hot trend. Watch out! Chromebooks, dissing all the naysayers, gained a lot of attention in 2013. Finally, they became popular enough for Microsoft to take notice and start bashing them. These are definitely tumultuous times for Redmond as its legacy is being attacked from all sides. 2014 will, hopefully, propel Chromebooks into widespread adoption. No Linux story is complete without the advancements of its pocket-friendly incarnate Android. Android managed to wow the crowd last year by introducing KitKat. The release was a major milestone for the operating system as it brought along -- at least in theory -- almost every Android user to the KitKat party. With support for RAM as low as 512 MB, Android 4.4 KitKat is Google's way of future-proofing the OS and saving it from the dreaded fragmentation ghost. This year, we'll get to see how the mega plan to end fragmentation unfolds. Gaming on Linux got a boost last year with Steam embracing the OS completely. With Steam on Linux and Steambox in the making, gamers are taking Linux seriously as a platform. Don't be surprised if you find a major AAA title released for Linux this year. 2014 will be full of pleasant surprises for gamers on Linux.